Among all the prompts of Letters of Love Blogathon (Lol-a-thon), I find this specific one – ‘A Letter To Self’ as the toughest. What do one say to oneself and that too in the form of a letter? Anyway, I am going to give this a try, hoping to give myself some moments of introspection and writing something that may sound relevant to my future self, may be 40 year old and beyond. Who are you? I find you changing every year – both for good and bad. A few years back you were a spontaneous, funny, silly girl who wouldn’t think much before trying anything new. You were quirky, carefree and never bothered much about things around you. You were a girl of action who would never think twice about the consequences of her decisions. You were quick to make friends and even quicker to let them go if they didn’t fit in your world. You made mistakes but never repented much. Guess 20’s was the age to be free-spirited, casual and bold. You were all that and much more. As you stepped into the fourth decade of your life you changed a lot. Your spontaneity changed to thoughtfulness. You became perceptive and would think twice before taking any important decision. Sometimes you seemed to be over-thinking too. You turned choosy and afraid to make new friends. You were, in fact, very happy with the wall you created around your self. You became wise but also very selective about whom you allowed to enter in your world and whom you would let go. I believe, 30’s totally turned your view of the world. Between 20s to 30s a lot changed in your life. You got married and even entered into motherhood. Among new people in a new city and a completely new environment, you did manage to gain a new identity. You learnt to become more cautious with the newer responsibilities. You also became more patient, sensitive and more adept in dealing with human emotions. Guess, what the people of your age couldn’t teach you, the tiny humans of your life did and you certainly became more calm and mature with time. So how do you plan to make sense of your life now? Well, I have some tips for you. The 40 year old future self can surely follow these tips to make things easy and peaceful in her life. Be yourself. Amongst so many roles that you have played so far- don’t lose your actual identity. Be what you have always been and stick to your ideology and values. Get the balance back in your life. From being practical to emotional to turning over-emotional- you have seen it all in the past few years. Maintain the emotional balance that’s required to lead a happy and peaceful life. Make yourself a priority. Spend more of ‘me’ time thinking and reflecting on your situations and circumstances. Now that the kids are grown up, you very well can do so. Focus on your health. You need to take care of yourself to be able to take care of your family. 40s is a precarious stage when health needs utmost attention. So do everything that you can to stay fit and healthy. Follow the dreams which are unfulfilled so far. Be it going on a trek or skydiving. You aren’t old enough for anything! Be Flexible. Age brings rigidity but you need flexibility to grow and adapt in this ever-changing world. Be receptive to different ideas and belief-system. Be Positive– life would show you all sorts of situations but to keep yourself and your family happy, positivity is the key. Continue doing things that give you happiness. Reading and writing are the top most ones. Travelling is another. So stick to the habits that make you happy. Remember dear 40 year old future self – aging is a part of life and you need to accept it gracefully. Live a life without regrets and if you have any so far, its not too late to make amends. Continue being the incharge of your life and never forget to live it fully! Be wise, be bold and simply be you – for that will make your 50s, 60s and the years to come even more beautiful. 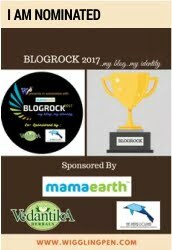 This post is a part of Letters of Love Blogathon hosted by The Momsteins. I would like to thank Aparna who writes at Toying With Baby for introducing me to this chain. You can visit her blog to read her wonderful writings. 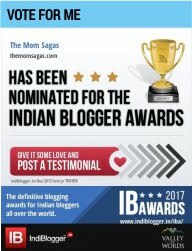 I would also like to introduce my friend Aashi from Lawyer Mumma Blog. Read her posts too on the similar prompt on her site. Do you have something to say to your future self? Share your views in the comments below. Wow I really liked this letter. It was as if reading about your life and then your future self ! Loved this letter.. With age, the priorities change and so does the situations around oneself but continuous reminders of taking care of one’s own health and involving yourself in the things that make you happy surely makes one feel relaxed and rejuvenated.. And what can be better than reading those reminders from our own self!!!! Really liked this letter. Very thoughtful words of wisdom to live by at any age. And I so agree that we change and grow as time passes and I’m sure my 20 year old self won’t recognise the woman I am today at all. Loved your letter to your 40s self something we all should do and feel at that age. Beautifully written.. the 20s and 30s Charu sounded so much like me.. this letter came as a reminder of time slipping away from our hands.. This sounds like a letter i would write to my future self too. Although I cant say I would have much time left to turn to 40 😀 I must hurry with my list of goals. Self love patience and forgiving myself tops my list.Adored this post.A beautiful heartfelt one indeed.